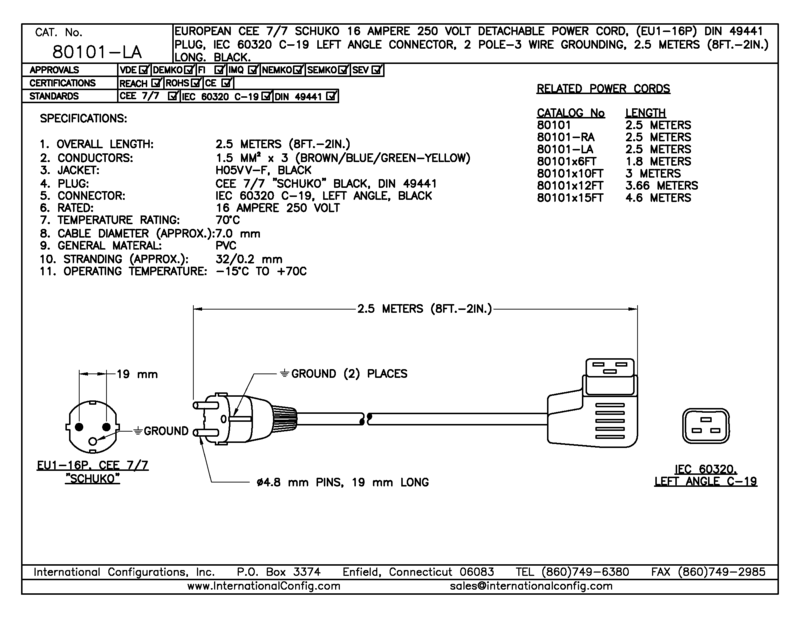 Detachable power cord set, European \"SCHUKO\" CEE 7-7 straight plug and IEC 60320 C-19 left angle connector. H05VV-F3G - 1.5 mm cordage meets CENELEC HD-21 (HAR) requirements. Conductor insulation color code: Brown, Blue and Green w/Yellow. 2.5 meters long. Rated 16 ampere 250 volts. 2 pole 3 wire grounding.